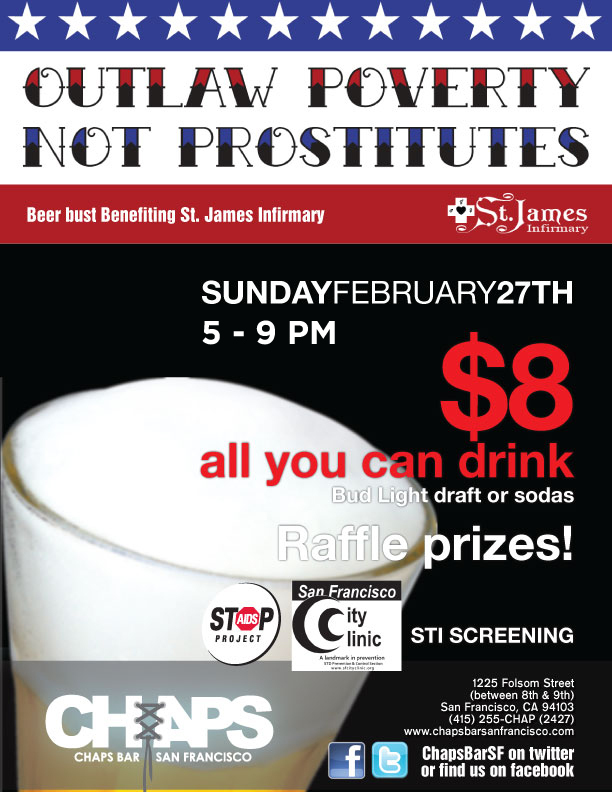 The San Francisco Department of Public Health & the AIDS Office is having a Beer Bust benefiting St. James Infirmary this Sunday, February 27, at CHAPS II (1225 Folsom St. between 8th & 9th). $8 gets you ALL the beer & soda you can drink from 5pm – 9pm! Come join us for fun, beer, and great raffle prizes!